UAE. 2012. Dubai. 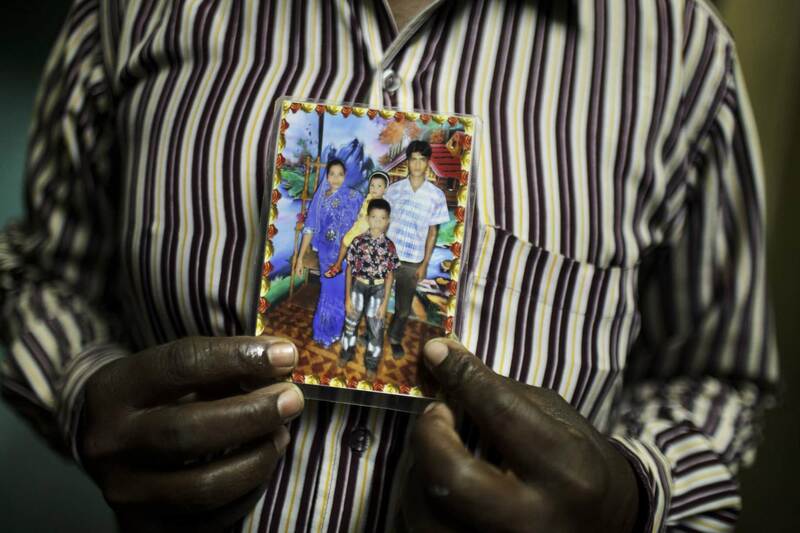 A Bangladeshi worker hold a portrait of his family, to whom he tries to send moeny every month.